Fringe repair: Fringes are a nice touch to any carpet, but are also highly susceptible to damage as the carpet gets moved around. Our technicians can replace missing fringes, re-weave torn ones, or remove them altogether. Expert stitching: While we might not possess the weaving expertise of ancient rug making masters, we'll still stitch your carpet back seamlessly enough that nobody will be able to tell repairs were done. Adding loops for wall-mounted rugs: Many owners of exquisite carpets choose to hang them from their walls, but are worried that adding loops will detract from the carpet's overall appearance. Our loops will be inconspicuous or even hidden, and will seem like a natural part of the carpet. Patching holes: Another repair job that few dare tackle, repairing a hole in an expensive rug is difficult. Depending on the size, we'll either knit the insides of the hole together or add a matching patch to the carpet. Don't worry – the end result will look as close as possible to the carpet's original appearance. 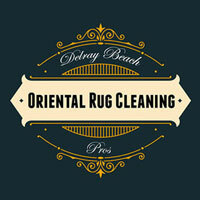 We understand that rug repair can cause uneasiness for even the most experienced oriental rug owner. Our rug experts will provide a professional consultation prior to your rug repair, so you can rest assured that your rug repair is in knowledgeable, professional hands. 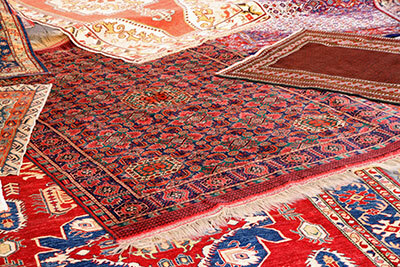 Our rug repair experts will make a thorough assessment of your rug and the repair needs. They will then begin any repairs and re-coloring as necessary to restore your oriental rug and bring out the natural beauty and colors. 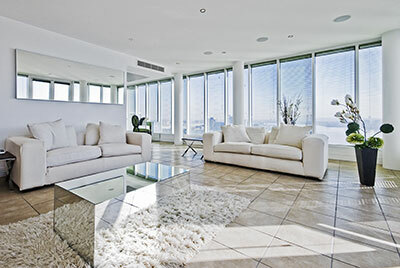 A full rug repair will provide our clients with additional years of enjoyment.